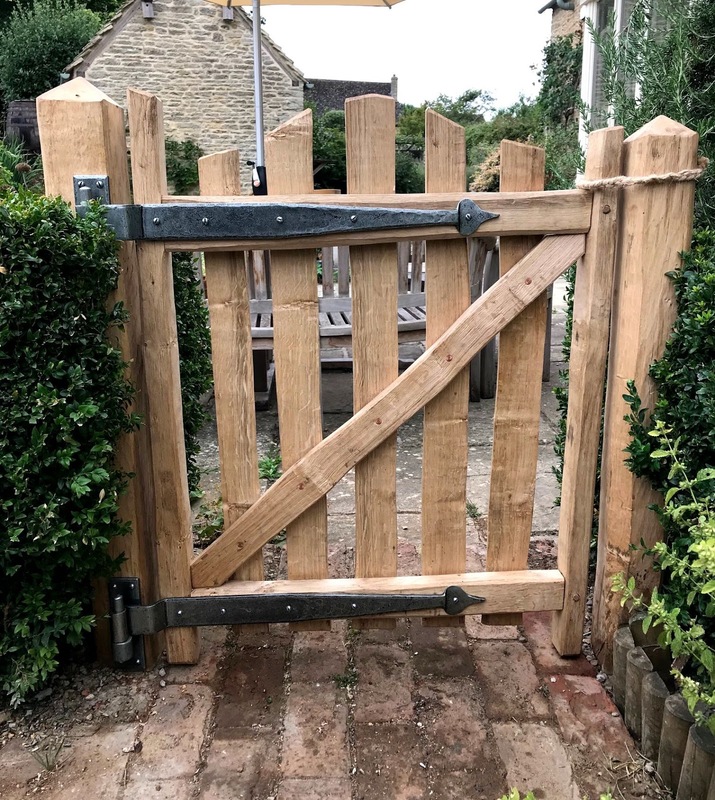 This is a cleft Oak picket gate installed in a pretty Cotswold cottage garden. It is held together with Oak pegs and copper nails. The gate posts have been hewn from cleft quartered Oak. 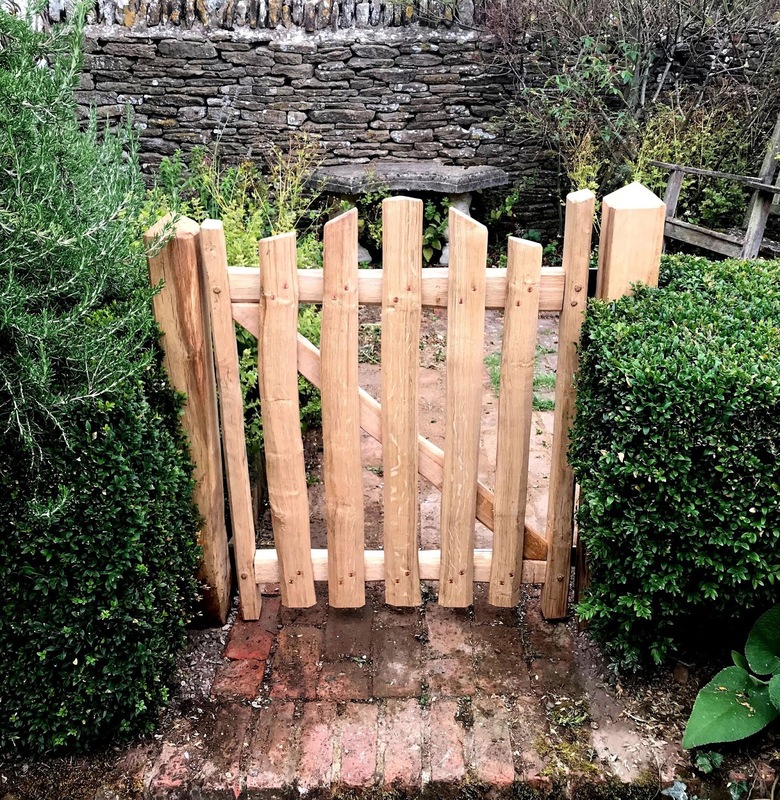 I haven't been very good at posting photos lately. I have been very busy creating though, and shall endeavour to share some more of my work soon. 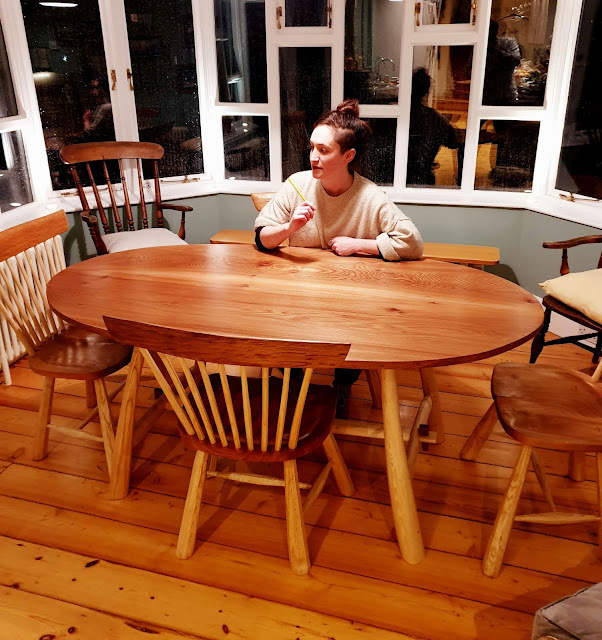 I also get very caught up in the processes of making and rarely remember to take photos of the processes involved, but here are some photos of the recently completed set of dining chairs and table. 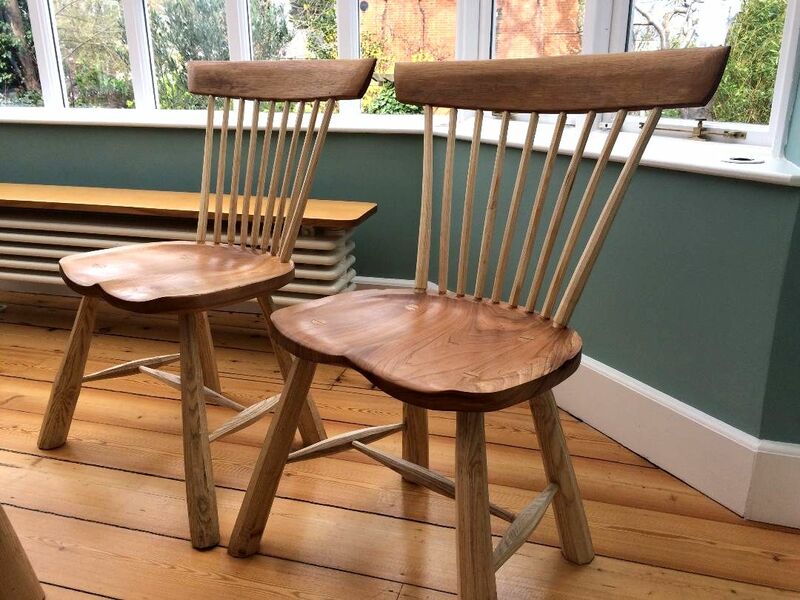 They were made using traditional green woodworking methods, but are not entirely traditional in style, as I have adapted them to my tastes (and hopefully the tastes of the client! 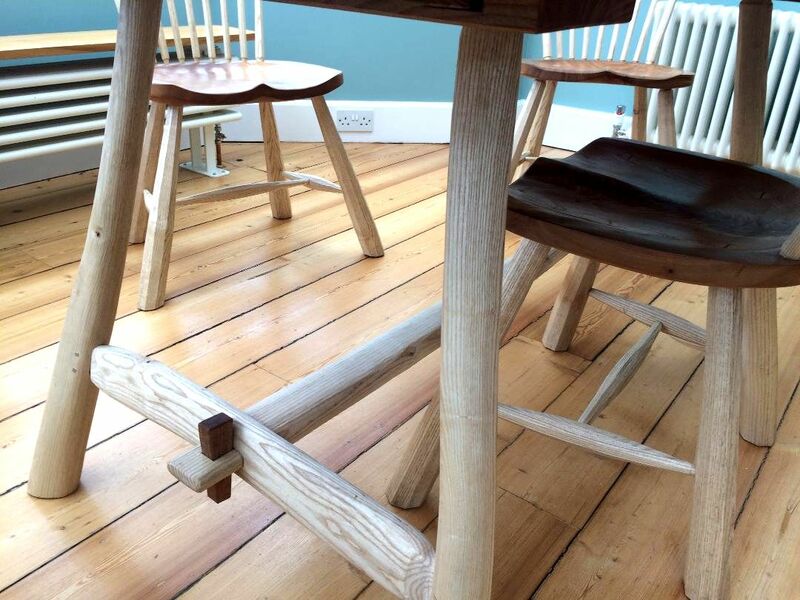 ), incorporating added flair to the legs and spindles, facets and natural curves for the table components. 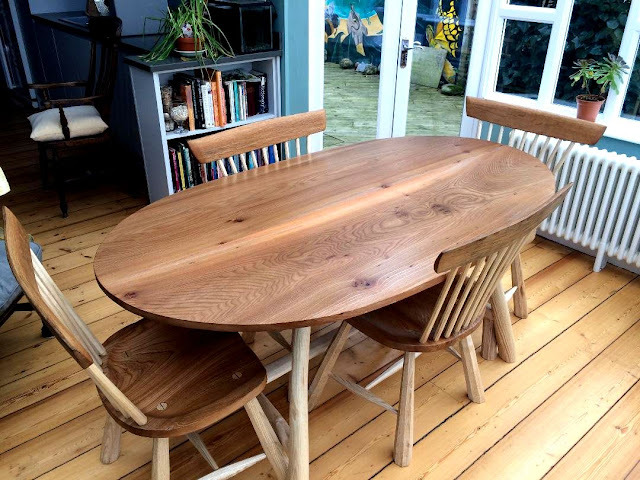 The table top and chair seats are Elm, the legs, stretchers and spindles are Ash, chair combs are made from old Oak barrel staves and all wedges and pegs are also Oak.